Bend Furniture & Design believes the house you call home should be a sanctuary. Located on hip Galveston Avenue on Bend’s Westside, the showroom has been launching design inspiration for perfect interiors since 2007. 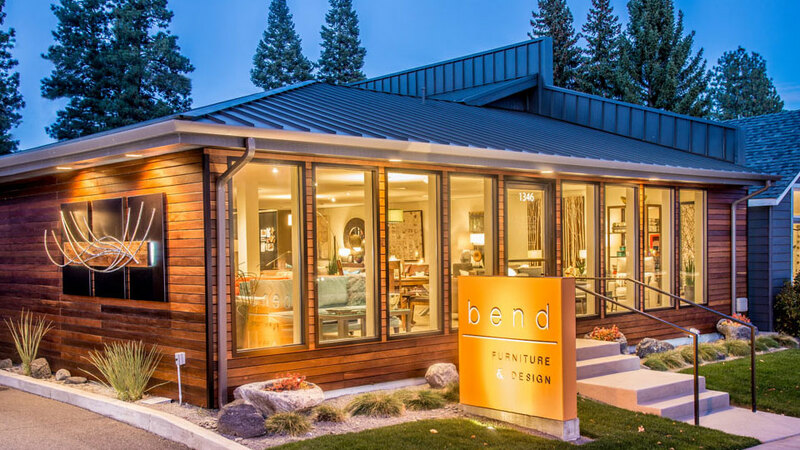 Bend Furniture & Design specializes in Northwest modern and carries quality lines of furniture for every room in your home, as well as décor and accessories to reflect a finished and truly personal touch right down to the smallest detail. The design team understands that good design starts with understanding how you live in your spaces. They are trained to listen to your needs and desires, then help you achieve totally livable rooms within your budget by creating harmony between your furnishings and accessories. From new home furniture planning and placement to furniture remodeling, your designer will work with you to create beautiful, functional spaces with an integrated color palette. And, interior design services are complimentary with any furniture purchase from Bend Furniture & Design. Visit the showroom, talk with the design team and find a fusion of harmony, comfort and balance for your home.